NASA’s Europa fly-by mission, set to launch in the 2020s, is about to enter a new phase in its search for life by swimming deep in the oceans of this icy moon. The mission is preparing to send a spacecraft to study Europa, one of Jupiter’s moons. On Feb. 15, the mission completed its Key Decision Point-B review. The next step is a preliminary design phase, called “Phase B,” starting Monday. Europa is an ocean world, and scientists believe there may be something in the water to support extraterrestrial life. Some estimates suggest Europa has twice as much liquid water as Earth sitting beneath the icy surface. A spacecraft would be tasked with investigating whether these conditions are habitable in any way. Europa’s seafloor might even be active (perhaps even more active than Earth’s), as scientists believe the yellow-brown color of Europa’s surface could be evidence of irradiated salt erupting from the ocean below. 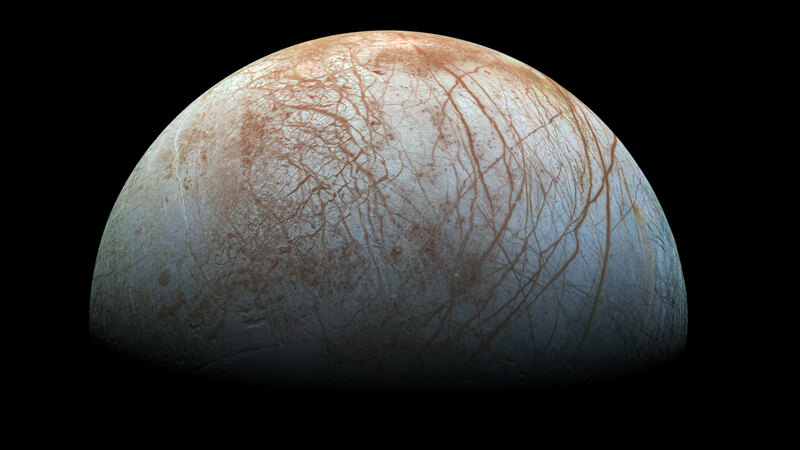 On top of all that, Europa might even have the chemical energy needed for life to evolve. The surface of Europa is covered in ice, and there's strong evidence of liquid water underneath. If there are aliens on Europa, we’ll find out sometime in the next decade, but first scientists must prepare for the life-probing mission. 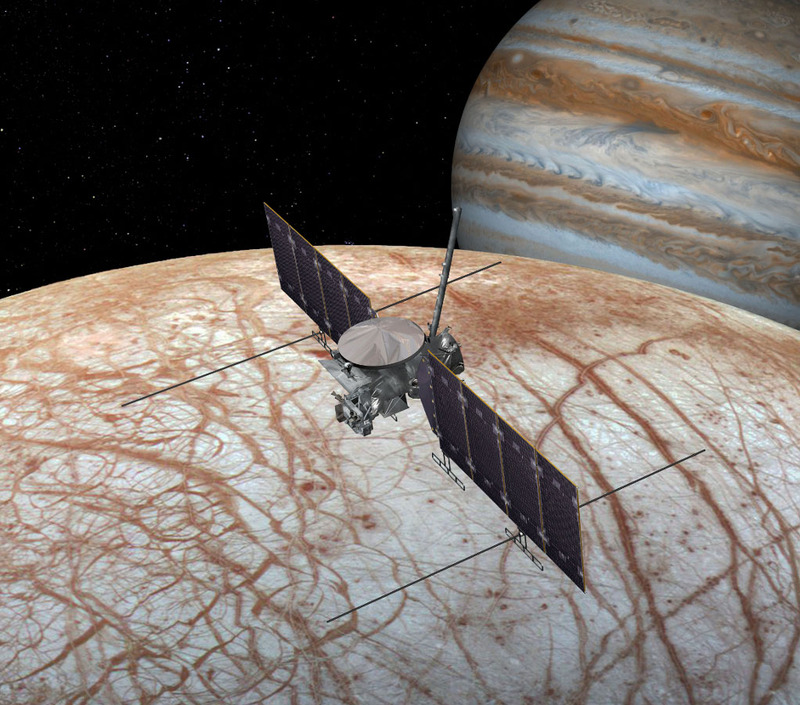 During Phase A, the team selected 10 instruments being developed for studying Europa’s capability to support life. The team also tested some spacecraft components like solar cells and instrument detectors, which will continue in Phase B. In Phase B, which will continue through September 2018, the team will complete preliminary design for the systems and subsystems. The team will also select the prototype hardware elements for scientific instruments and start building and testing spacecraft subassemblies. In the final phases before the spacecraft launches — Phases C and D — the team will work on final design, spacecraft fabrication, assembly and testing, and launch. When the mission’s spacecraft arrives at Jupiter, it will orbit Jupiter every two weeks and make 40 to 45 flybys of Europa. During these flybys, the spacecraft will image Europa’s icy surface and analyze its composition and structure. An ice penetrating radar will determine how thick the icy shell is and search for lakes beneath the surface. In addition, the spacecraft will study the ocean’s depth and salinity, and a thermal instrument will search for plumes of warmer water squirting out from the surface. (Scientists have previously found evidence of huge jets spewing from Europa, although it’s unclear whether those jets are water, ice, or something entirely else.) Finally, the spacecraft will search for evidence of water in the atmosphere. NASA also recently received a proposal for a separate conceptual landing mission on Europa, which will launch a spacecraft that can physically explore Europa’s surface and search for alien life. There’s still some time until these missions take a deep-dive into whether there’s life swimming in Jupiter’s ocean world, but water is always a potential sign we’re not alone out here.